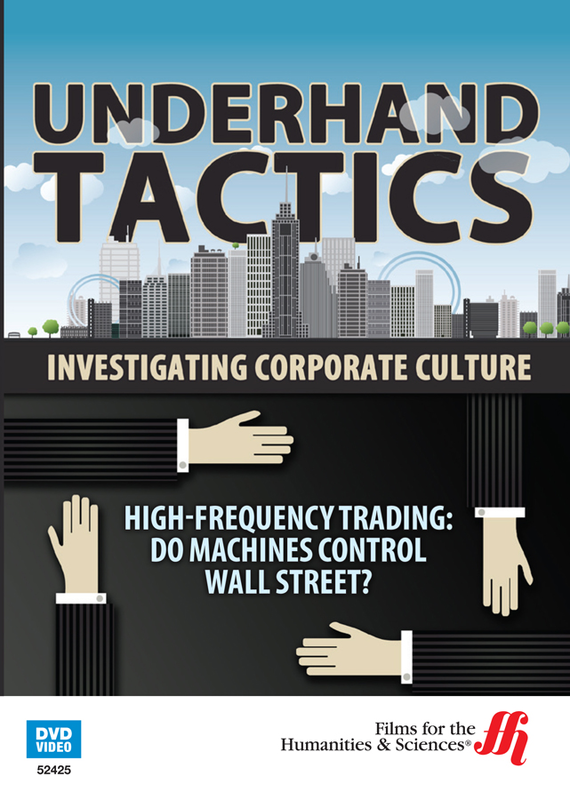 Part of the documentary film series, “Underhand Tactics: Investigating Corporate Culture”, this production is highly recommended to anyone interested in digital securities exchange. The effects of electronic trading on stock market and commodities exchange, has transformed securities trading. In High-Frequency Trading: Do Machines Control Wall Street? (2012), the proposition that mathematical algorithms supplying electronic securities exchange environments, has vastly improved the rate of return for investors in the form of exponential profits. Risk also increased as well. The perils of machine reasoning in the trade of derivatives for instance, can alter the decision to "buy" or "sell" a contract. Experts in high-frequency trading technologies offer insight into next generation Wall Street, suggesting that 21st century trading firms are uneven in exchange knowledge and capabilities. As markets advance in terms of type of listed securities, will existing algorithms be able to keep pace effectively and efficiently with increased volume, and also controls responsive to securities regulation reform. The examination of the use of high frequency trading on the primary and secondary markets exposes the dynamic, yet opaque reality of a financial sphere dominated by programmer savants establishing their mark in the world of securities trading. The video looks at the basic principles of HFT, and the guidelines to large computer network partnerships with central exchange platforms comprised of interconnected subscribers. Citing the lack of up-to-the-minute control for number of shares sold every microsecond, or regulation of these virtual trading relationships, critics say the digital exchange poses certain threat. Instantaneous flash crash, or mitigation against market collapse? What traders and programmers are hedging on alike, is algorithm innovation that will adequately meet exchange demand. High-Frequency Trading: Do Machines Control Wall Street?